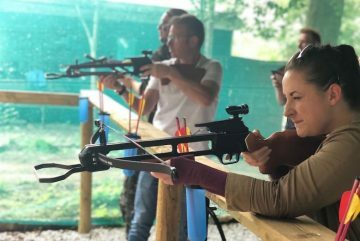 You've seen them in films, and now you can use your very own crossbow in real life here at Live for Today, Yorkshire’s most popular and highly rated outdoor activity centre. 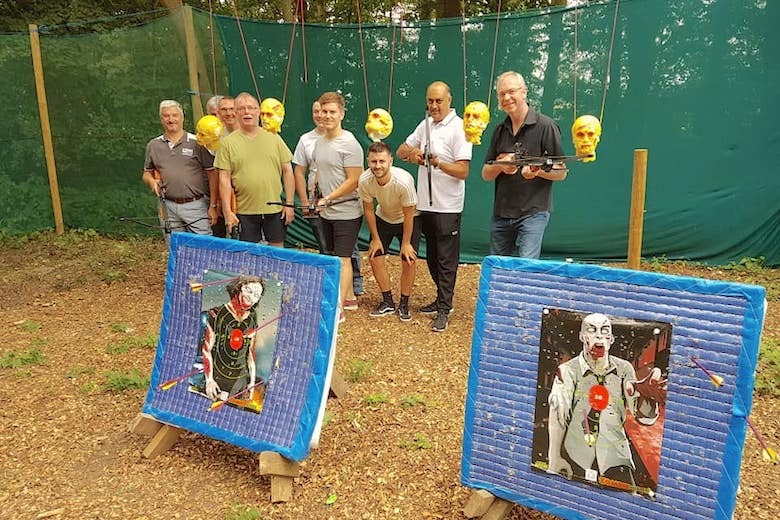 The best way to describe our crossbows activity is to say it’s like a mix of two other of our popular activity sessions – Air Rifle Shooting and Archery. 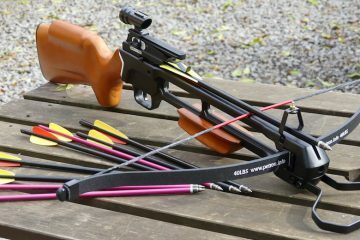 Easier to handle than you might think and strikingly accurate, we will have you shooting your crossbow safely, comfortably and with pro-like precision in no time. Our highly qualified instructors love entertaining visitors of all abilities, from complete beginners wanting to try a cool new activity, to those a little more experienced who want to hone their shooting skills. Our crossbows sessions are certainly challenging (in a good way) but they are also 100% guaranteed super fun. During your crossbows session, you will have plenty of shots to practice your new skill and to gain mastery of your very own crossbow. 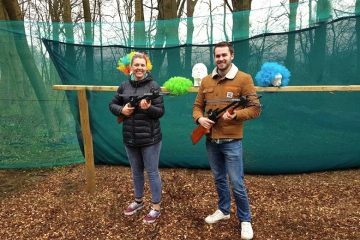 As you develop and improve, completely at your own level, your instructor will start to introduce you to a variety of fun-filled games and challenges, including Killer, Shoot the Stag, and the ever popular Destroy the Zombies. NB – only headshots count in this particular challenge! The brilliant thing about crossbows is that they can be easily manoeuvred to allow you to shoot at a variety of different targets in the most powerful and accurate ways. Trust us, you’ll surprise yourself at just how much fun you’ll have. "Impeccable Service. We were greeted by one of the most friendly instructors we've known, Lee. He clearly loves his job which makes the experience so much better"
All of our popular crossbow sessions are delivered by our highly experienced and qualified instructors, because let’s face it, these are real weapons you’re getting your hands on! Ever the professionals, however, you’ll be expertly guided through the best ranges and the most enjoyable activities and games possible, to make sure you feel like a pro with your bow. 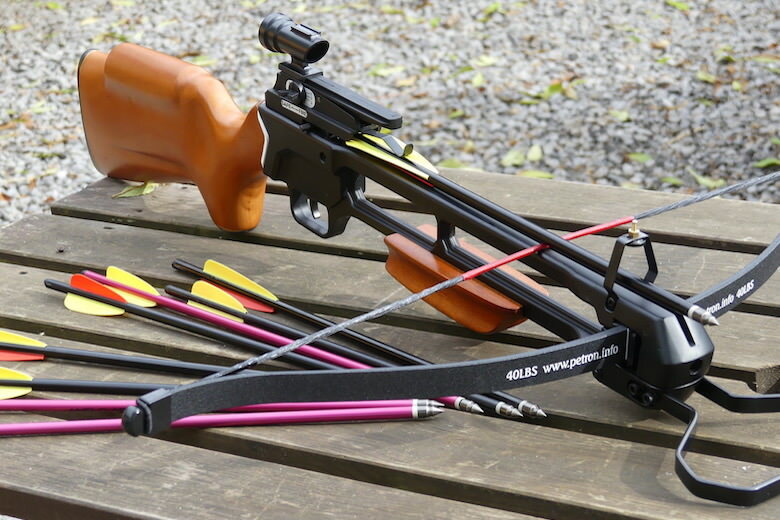 Our crossbows are easy to get the hang of and perfect for all levels of skill – including complete beginners. All equipment is regularly serviced and checked, meaning that you can’t blame our tools if you miss those targets! 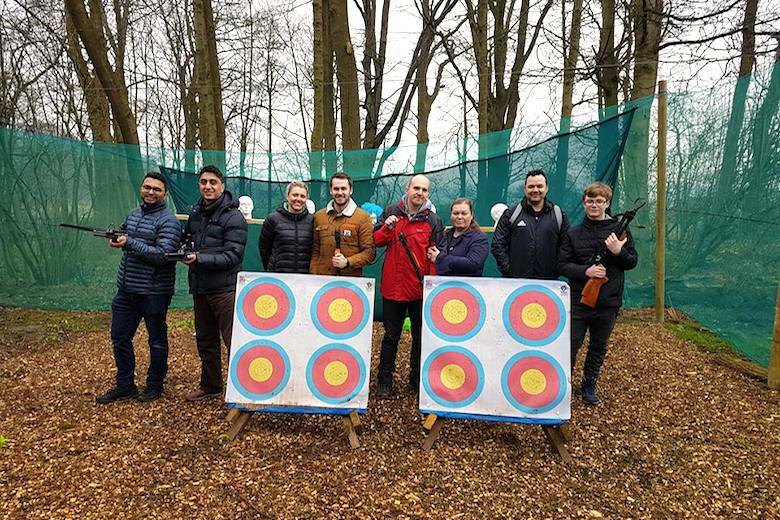 It really doesn’t matter if you’re wide of the mark, however, because our instructors are not only there to make sure you have a good time, but to ensure that you improve and develop your skill level with every aim. 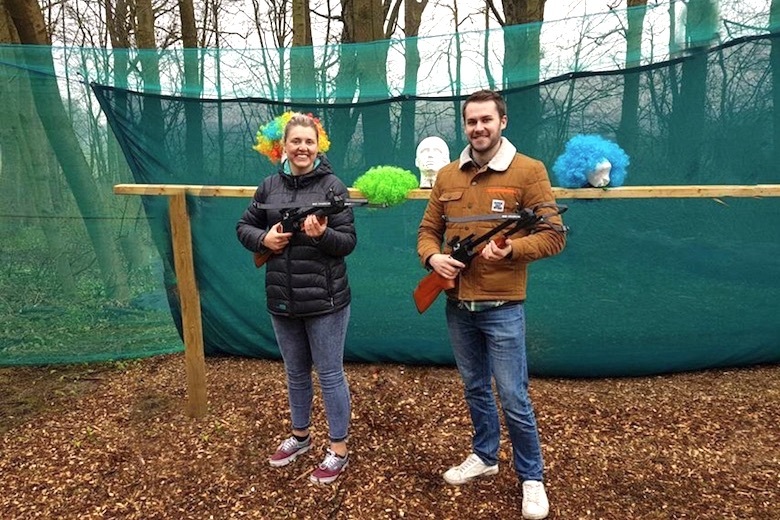 If you’re apprehensive in any way, or have questions about our crossbow activities, please get in touch to speak with our friendly staff, or head on over to Trip Advisor to read reviews sent in directly from our happy customers. Yes, our arrows are the real deal and not the sucker ones you were used to as a kid. 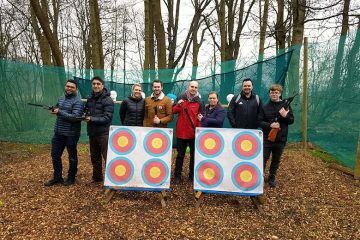 You will be learning to shoot these arrows in a designed and controlled area with a fully trained instructor who will ensure you are safe at all times. 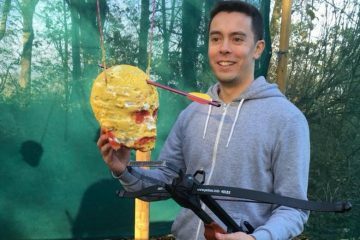 Most people can load the bows on their own, however if you are struggling then our friendly instructor will be on hand to help. Just keep providing them with tea and coffee. The minimum age to take part is 12 years old. Then why not add on some Archery and Air Rifles.